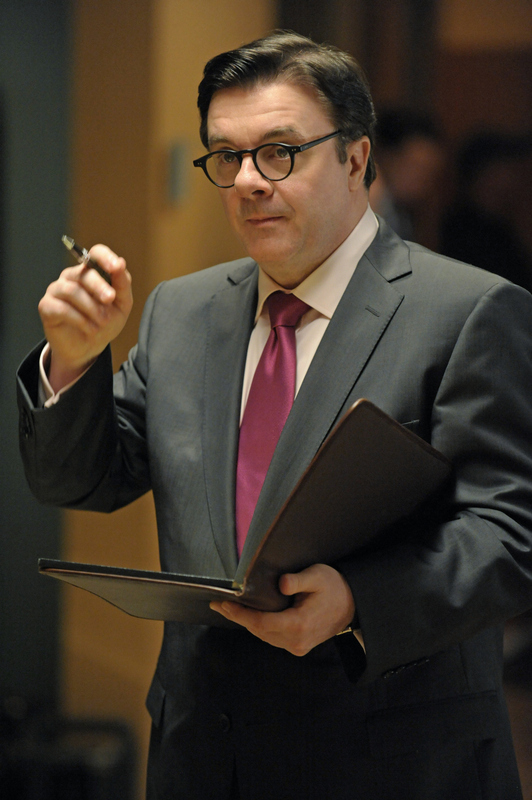 Emmy Award and Tony Award-winning actor Nathan Lane guest stars on The Good Wife as a bottom line-obsessed manager imposed on Lockhart & Gardner by the bank to cut costs and get the firm back to fiscal health. The fourth season of The Good Wife premieres Sunday, Sept. 30 at 9/8c on the CBS Television Network. Photo: Jeffrey Neira/CBS ©2012 CBS Broadcasting, Inc. All Rights Reserved.